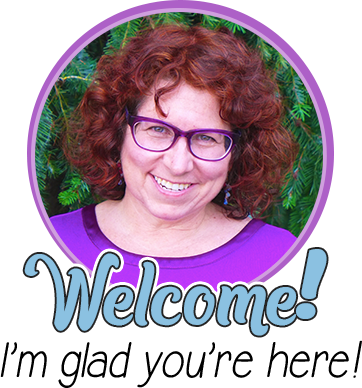 We’re welcoming Gay Miller to the blog today. 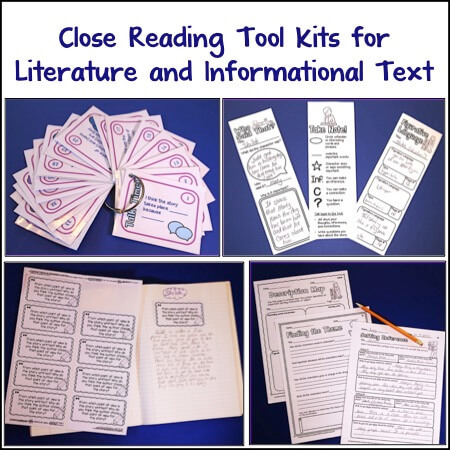 She’s sharing her tips on making interactive notebooks more manageable, which she’s gleaned from many years of using them in her own instruction. She also includes pricing tips, so by the time you finish her post, you should be ready to run out and get started yourself! 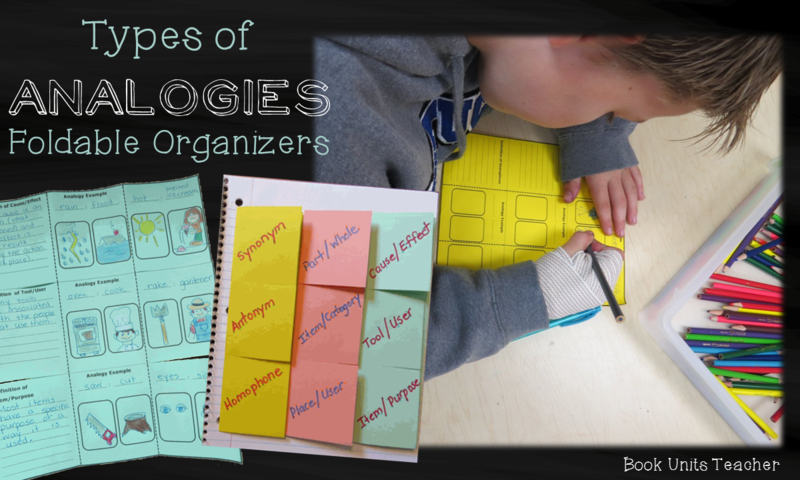 Hands-on teaching has always been my preferred style, so when I first learned about foldable organizers at a conference, I knew my new teaching direction was going to be incorporating interactive notebooks. Years later, I have seen repeatedly how these “folded pieces of paper” have helped my students organize their thoughts, use higher order thinking, and retain information. 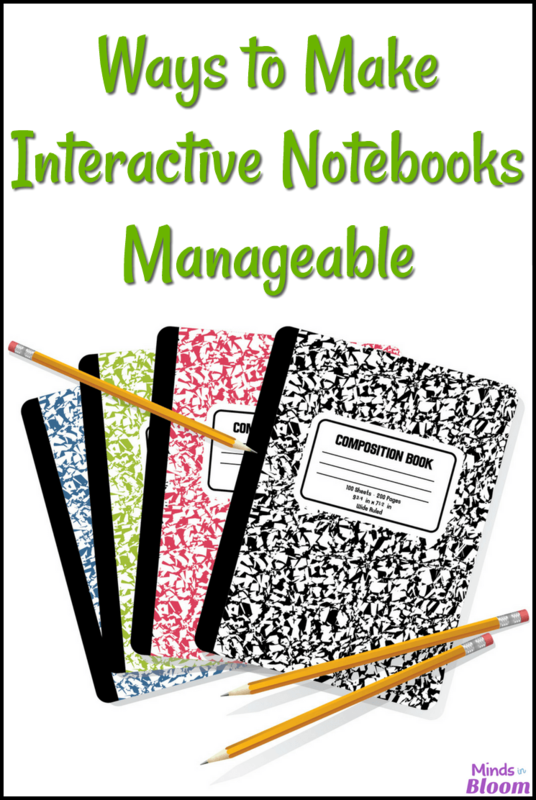 This article will provide a few methods I have discovered to make using interactive notebooks more manageable. 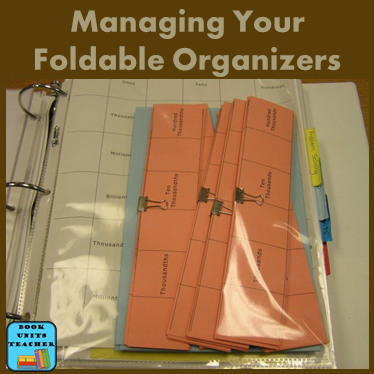 Be sure you check out the bottom of the post for some free foldable organizers so you can give interactive notebooks a try. I learned this lesson the hard way. 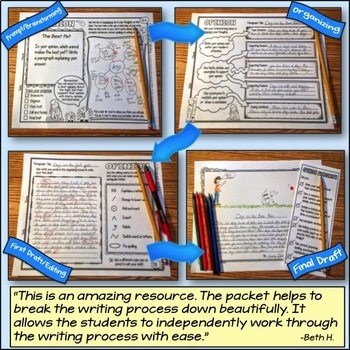 For several years, I created an interactive notebook, just like my students, as a sample to show the students how the finished product was supposed to look. Every year something would change. I would teach skills in a different order, I found organizers I liked better, and so on. 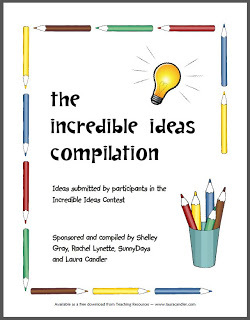 This meant I started from scratch each year making a new sample interactive notebook. Now you can re-sort organizers in any order and easily swap out one organizer for another. Also, everything is in one place; there is no endless searching for “that perfect organizer” you used last year. Plus, you now have a completed organizer to place under your document camera for students to see. 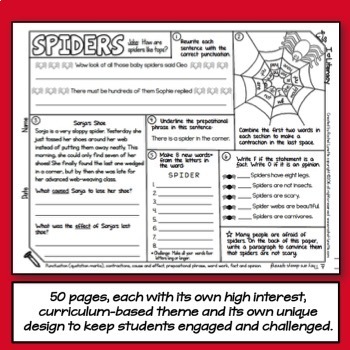 Hint: When you make copies for your class, simply slide them inside the same page protector as your pattern and sample. 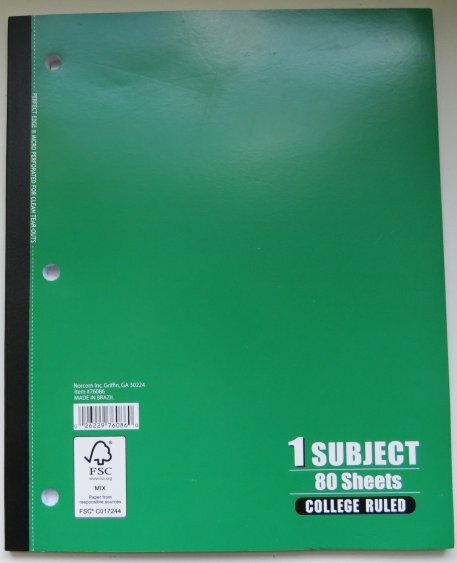 Instead of having students purchase their own notebooks, ask parents to send in $1.00. 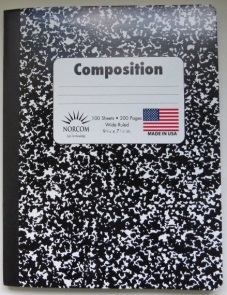 This way Johnny’s mother doesn’t send a “slightly used” notebook, and Megan’s mother doesn’t send one with a really cool picture on the cover because “Megan just had to have it.” Having identical notebooks remedies many problems. Stock up for the entire year at the beginning of school. Prices go up drastically after the back-to-school rush. because you only need one strip to cover the wires. This is my preference. I like the larger size sheets, and the price can’t be beat. 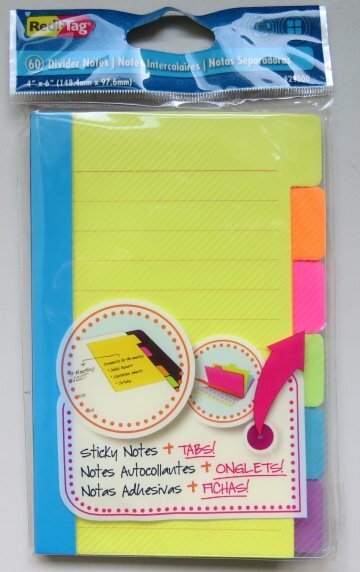 Standards directly on the sticky note. * Wrapping the spiral wires keeps them from being snagged and pulled. The duct tape also keeps the front and back covers attached to the notebooks. Once students lose a cover, more and more pages seem to come loose. Using duct tape can be fun. Camouflage, college logos, and neon colors are just some of the varieties that are available. 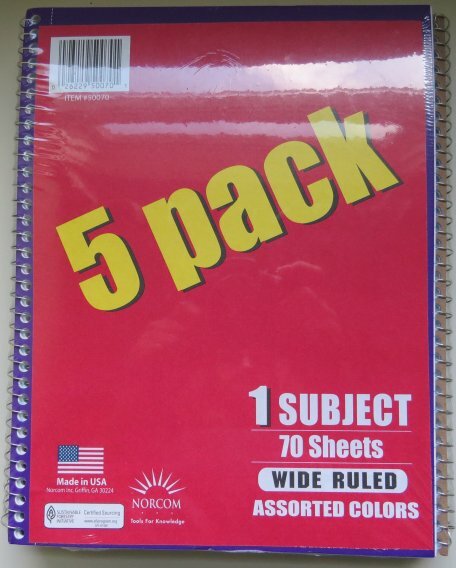 If you have a self-contained classroom, color code notebooks by subject, i.e. red for math, green for science, and so on. If you are departmentalized, color code notebooks by periods, i.e. red for 1st period, green for 2nd period, and so on. 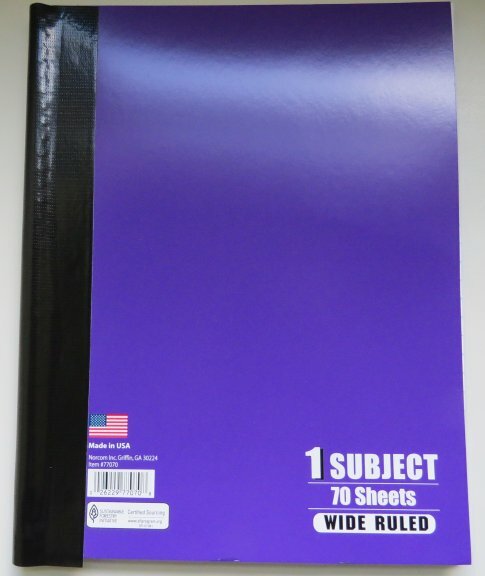 When you can say, “Get out your blue notebooks,” students are much more likely to glue materials in the correct notebook. Also, having all notebooks the same color for a class makes sorting them easier when grading. 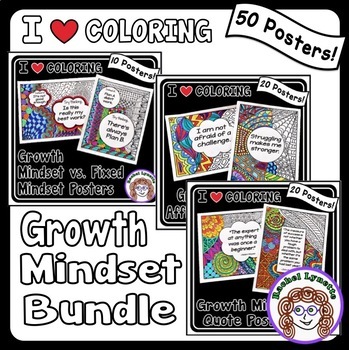 Leave three to five blank sheets at the beginning of the notebooks for title pages, table of contents, teaching standards, etc. Have students number the pages in the rest of the notebook. I like small numbers on the bottom outside corners of the pages. 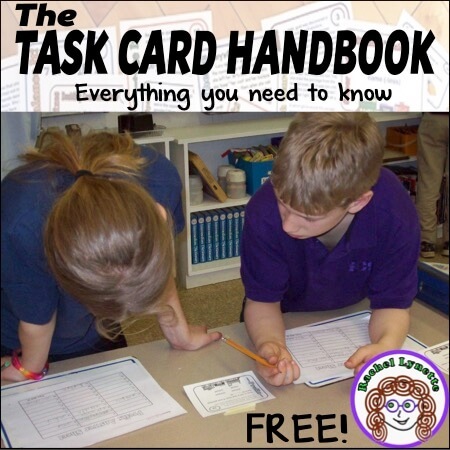 Yes, numbering notebook pages takes about 10 minutes of class time, but you’ll find that it saves a huge amount of instructional time in the long run. If you teach upper elementary or higher, one time-saver is to have students write numbers on only the even-numbered pages. Numbering pages helps you keep similar skills together. 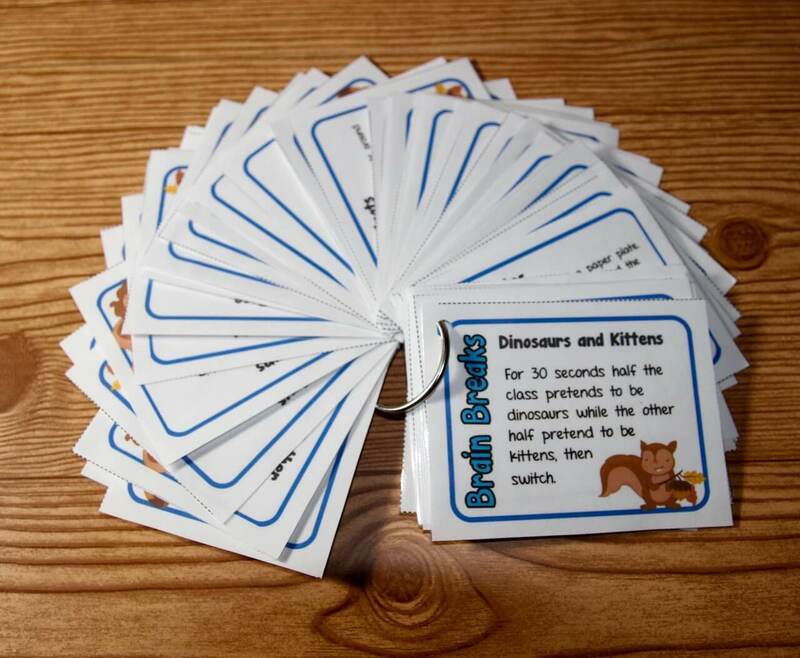 For example, you may have students place an organizer for the prefix dis- in their notebooks on page 87 this week. A couple of weeks later, you can tell students to turn to page 88 to add a different prefix organizer. Use tabs to section off divisions. Your divisions may be based on the Common Core State Standards or on subject content, such as geometry, explorers, vocabulary, grammar, prefixes/suffixes, etc. This takes some planning ahead to know approximately how many sheets you will need for each division. 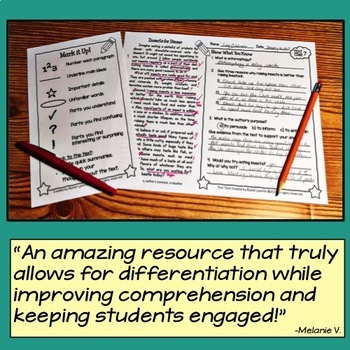 If this is your first time using interactive notebooks, then I recommend using just a few broad divisions. 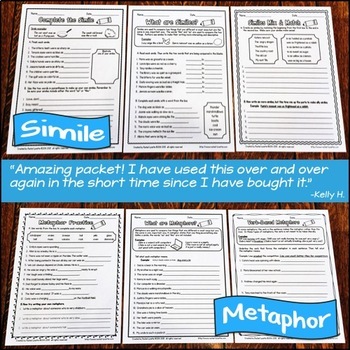 Teaching students different types of analogy relationships is a fantastic way to improve students’ vocabulary test-taking skills. 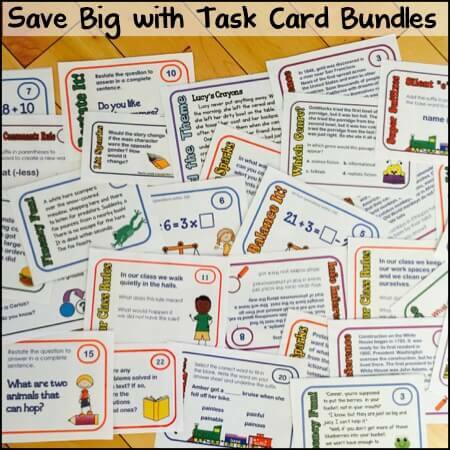 Plus, if you are new to interactive notebooks, then these simple to assemble organizers are a great place to start. 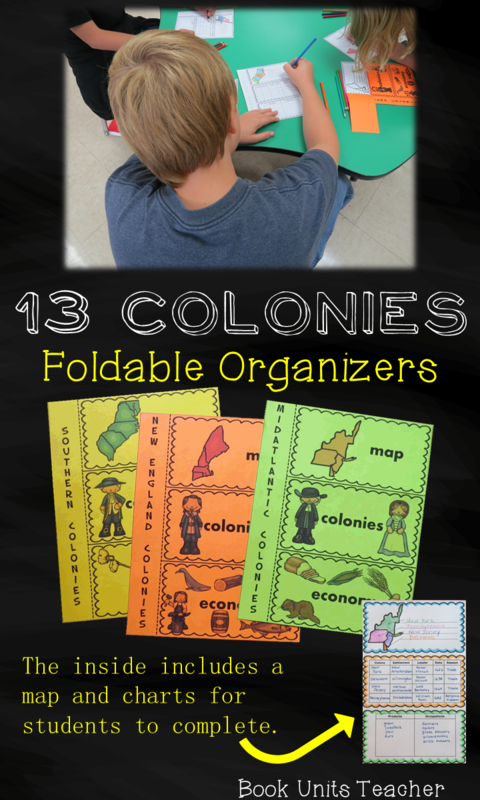 Students will learn to locate the 13 colonies, learn major details about each settlement, as well as learn how colonists made a living in each region with this set of organizers on Colonial America. 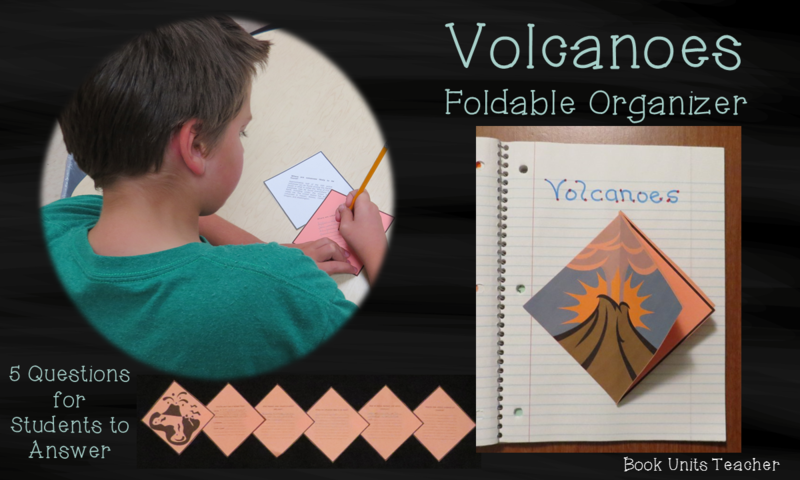 Students will have fun learning about volcanoes as they first read 10 Interesting Facts about Volcanoes, and then they will answer five questions about volcanoes to form this 5-page booklet. 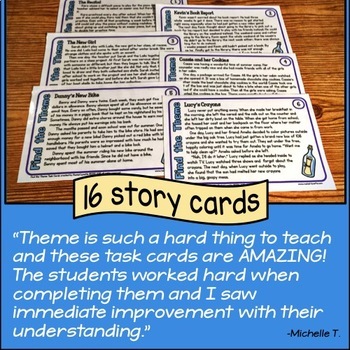 Give interactive notebooks a try. Soon you will wonder how you ever taught without them. Gay Miller taught special education for 33 years, primarily in the upper elementary grades, in self-contained, resource, and inclusion classrooms. She’s currently sharing an RTI position with another retired teacher. Hi — Thanks for the ideas! 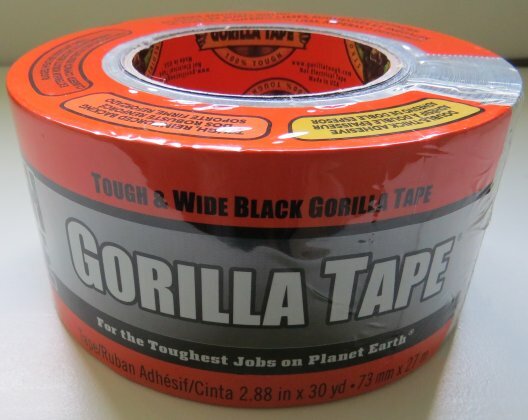 I love using the gorilla tape for wires, which has been an ongoing problem w/my students’ notebooks. Can you post a picture showing where you put the tape? I’m having a hard time picturing what that looks like — thanks! What do you do when it takes some students 2 pages for ‘notes’ but 4 pages for other students? When a student needs extra room for writing, I usually just tape a piece of notebook paper (trimmed down to the same size as the pages in the interactive notebook) onto the page that is full of writing. Tape the two pages together across the top, so the page can be flipped up to read the page under it. I usually have the student number the bottom page A the page on top B, etc. This way the student will remember that they are reading pages in the opposite order from normal (from the bottom to the top). You can add as many pages as needed this way.